Marine Barograph for sailing. Fitted with damper device to even out motion of boat. 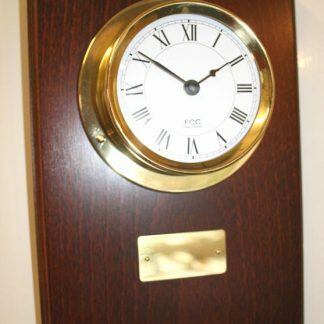 Classical, compact design which is equally at home at sea or taking pride of place in a study! Perfect gift for a weather/sailing enthusiast. Marine Barograph for sailing. 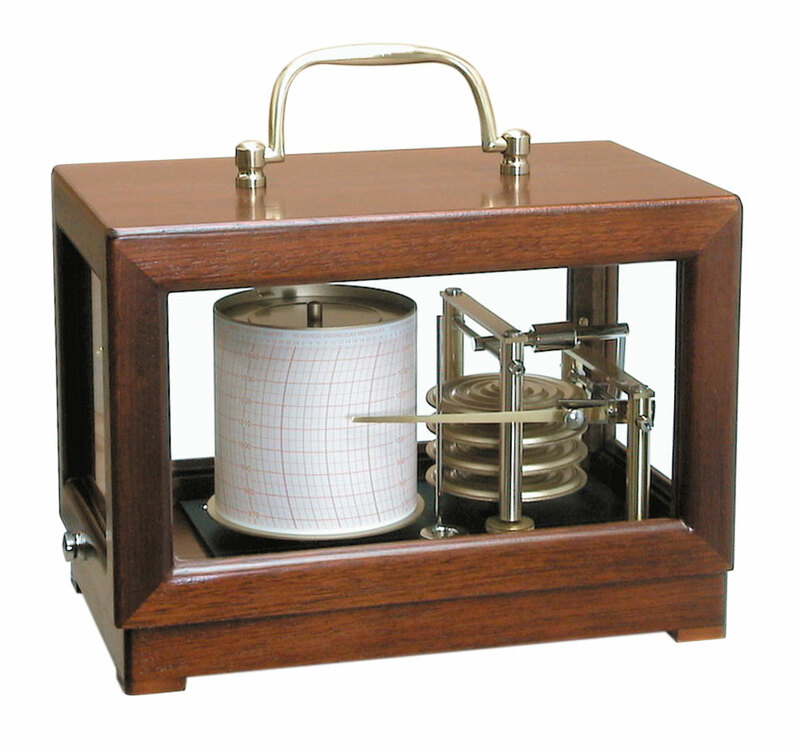 Beautifully compact Barograph which is designed for use whilst sailing. It has a damper device fitted to even out the motion of the boat so that a more stable reading can be obtained. Equally suitable at home where space may be a consideration. 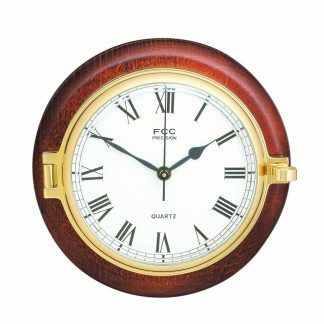 The classically designed mahogany finished case has bevelled glass windows with a brass carrying handle. The mechanism has 4 capsules, precision +-0.5hPa. Weekly charts (50 supplied ref: 11HPA) along with Felt Tip Pen and Battery (1.5V Type LR6). 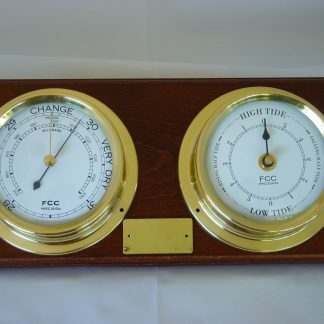 Marine barographs (used on ships) include a damping device, this evens out the motion of the ship so that a more stable reading can be obtained.